When fielded, you may draw and roll one die (place it in your reserve pool). Instead draw 2 dice, roll one of them and return the other to your bag. Characters with “Draw Dice” effects—such as Gambit Ace: in the Hole—are triggered when the requirement of the card effect is met. 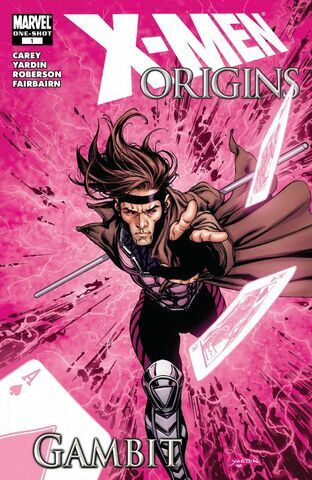 In the case of Gambit, this is when this character is fielded. Since fielding Gambit would occur during the Main Step (which happens after the Roll and Reroll Step), dice rolled using Gambit’s effect cannot be rerolled.